This past weekend in Longview there was a first ever rally event in downtown that drew thousands. I didn't attend due to home repair stuff, though I rode by at one point. During one of the group ride events, there was a one-bike motorcycle crash resulting in a fatality. A newspaper article about the event ticked me off enough that I sent an email to the DPS. Nothing to come of it. I just had to vent. First, let me say that my prayers and condolences go out the the family and friends of Charles Flowers, the man who died in a motorcycle accident on hwy 259 on Saturday, in connection with the Riders, Rockers and Ribs event. I pray as well, for the recovery of his passenger, who is in critical condition. I wasn't there, but I read today, of the event in the Longview News Journal's online report. Besides the tragedy of the rider's passing, I was struck by a quote in the article attributed to State Trooper Jean Dark. I was taken aback by this quote coming from someone in a professional position such as Trooper Dark. I can only hope that the quote was mis-attributed. Perhaps it was said by someone on the scene, I don't know. I can only assume at this point that Trooper Dark does not ride. The fact is, "had to lay 'er down" is a hideous yet oft-repeated myth. An old wives tale. The idea that laying a motorcycle down will somehow magically *improve* stopping distance or survivability in ANY situation outside of Hollywood is as blatantly false as " I drive better with a little buzz". The phrase is so familiar that it is pointed out as bogus in every sort of motorcycle safety training out there, and I'm certain that anyone in the Motorcycle Safety Division knows this. My issue is that the repetition of this horrendous idea is awful enough when told with a gleam in the eye of some old storyteller at the biker bar, but seeing it embraced, codified and propagated by a Trooper!? Please, someone, relay to Trooper Dark and perhaps to everyone that this is a dangerous myth that will inevitably lead some new rider to get hurt unnecessarily. Please don't traffic in fallacy, there are riders out there that look to you for direction and reliable safety information. Last edited by MrSurly; 10-27-2016 at 08:32 AM. Those who don't ride will never know. All the safety trainers do tell new riders laying it down does not slow you down faster. If steel was a better friction material contacting with stone, (road surface), they would make the tires out of steel instead of rubber. A spinning tire gathers no speed. A prayer for the rider. It seems the lack of good judgement got the best of Mr. Flowers. I hope his passenger recovers quickly from her serious injuries. I know a guy who beat his ex-wife to keep her from filing for divorce. I'll share it if I do. I couldn't find a generic email for the DPS so I sent it to the "motorcycle safety division" thinking that someone in that specialty area would *maybe* get what I was getting at and *maybe* would make some effort to spread the word among the ranks to at least tell them "don't say this". Here's an example, which has more friction on paper? The eraser or the "lead" point of a number two pencil on paper? I think the only time I would "Lay 'er down" was if the collision with the side of a tractor trailer trailer was imminent. I'd like to lay her down but she avoids me. As a lifelong motorcyclist, I couldn’t agree more. I have forwarded your email to Trooper Dark and had a respectful conversation about the statement and its meaning to current and future motorcyclists. 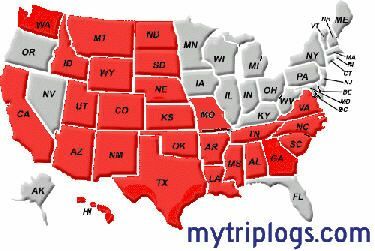 Thank you for your interest and support of Texas motorcyclist. Subject: FW: Fatality in Longview, Official furtherance of a Myth.